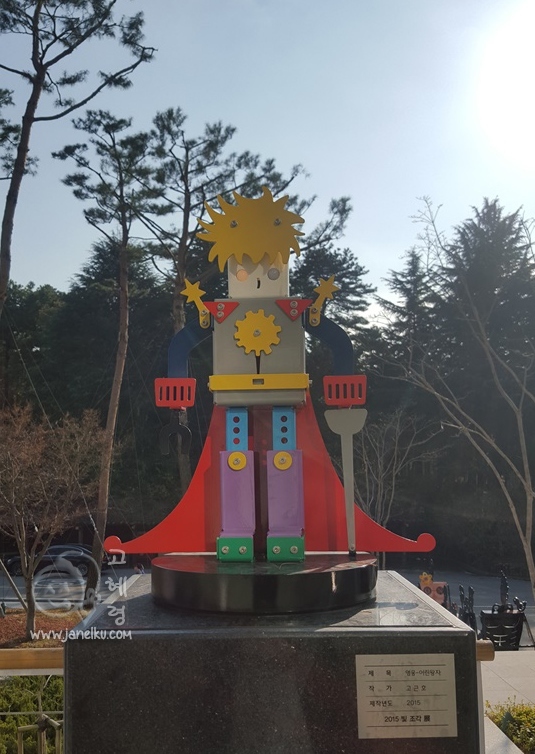 One of the attractions you should visit in Gwangju are their museums. Hence, that was part of our itinerary! First stop: the Gwangju National Museum. From our hotel, we took a taxi there. Taking a taxi is still our first choice, as it is still quite affordable and less hassle. It was easy to do so as we just got the hotel concierge to help us make a taxi booking (without extra booking charges). 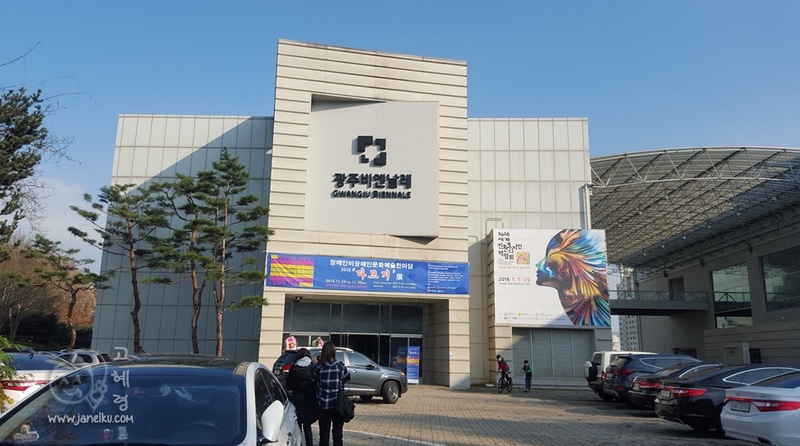 It might be confusing and difficult for those who travel to Gwangju for the first time, or have difficulties understanding / speaking the Korean language, as you will have to take the train, then walk to the U-Square terminal before taking a bus. Here, we got to see many historic items, as the exhibition here focuses on Prehistoric and Ancient culture. We were introduced to one of the English speaking volunteer museum guides, Mr Yun Soo-Woong (윤수웅선생님). A retired principal, we had a great time navigating the museum with his guidance. Here's one of my favourite item, Knobbed comma-shaped jade (딸린곱은옥, 母子曲玉), so beautiful and exquisite, in my opinion. This jade was from the Kohun period. Really lovely. We also got to view Korea's national treasure number 103,Stone Lantern Decorated Twin-Lions (쌍사자석등, 双狮子石燈), a stone lantern which shows of 2 stone lions full of strength, like pillars of support. The item dates back to the Unified Silla era, 9th century. Mr Yun also explained each level of the structure, and each level has a meaning, like how one lion has its open wide open, while the other has its mouth closed, signifying the beginning and the end. We appreciated the structure so much better after his detailed explanation. Next stop: Gwangju Museum of Art! 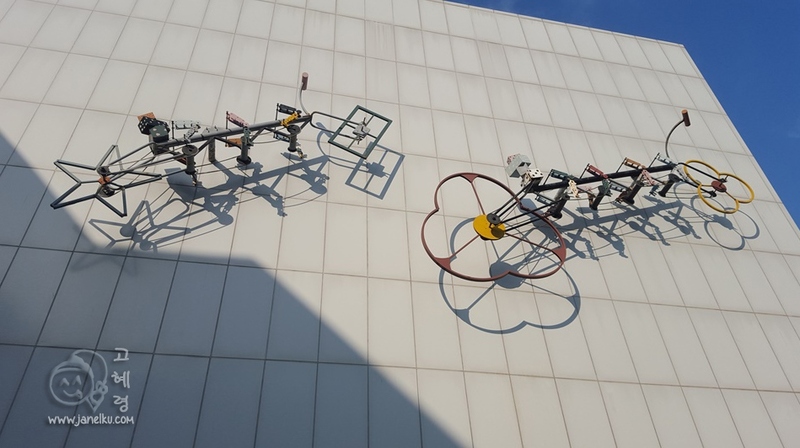 While walking past the Biennale Hall. Along the way to the Museum of Art, we chanced upon the folk museum. It looked big and lovely. Too bad, due to the lack of time, we skipped it. When we visited, one of the exhibitions was Incomplete Dream (강철수-미완의 꿈) by late painter, Kang Cheol-Soo (1951-2014). 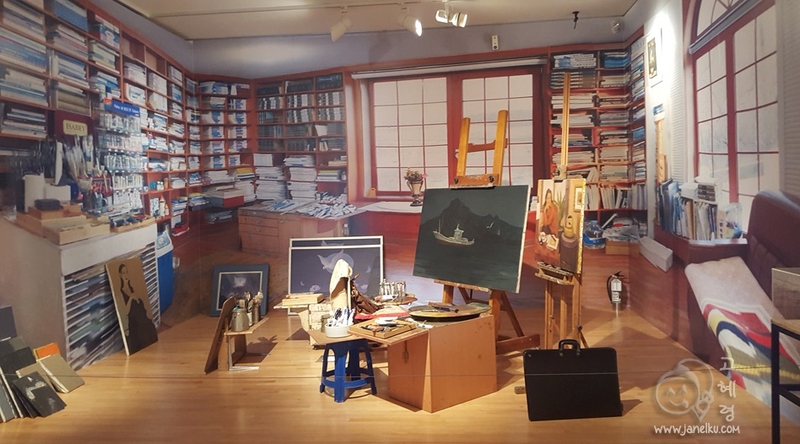 I enjoyed viewing his paintings, how it transitioned in different periods of his life, as well as the showcase of his room while he was studying away from his sweetheart. Here's a picture of his workspace. 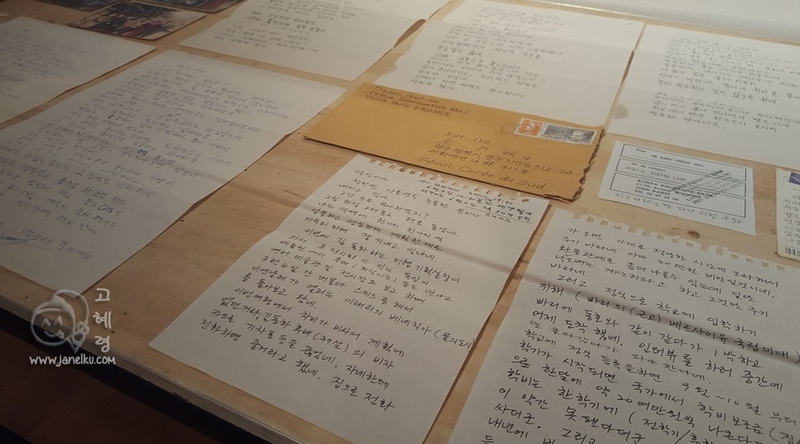 The exhibition also showcased his handwritten letters back home, the emotions of his homesickness were translated so well to its viewers. The exhibition runs from 1 Sept 2015 - 24 January 2016. 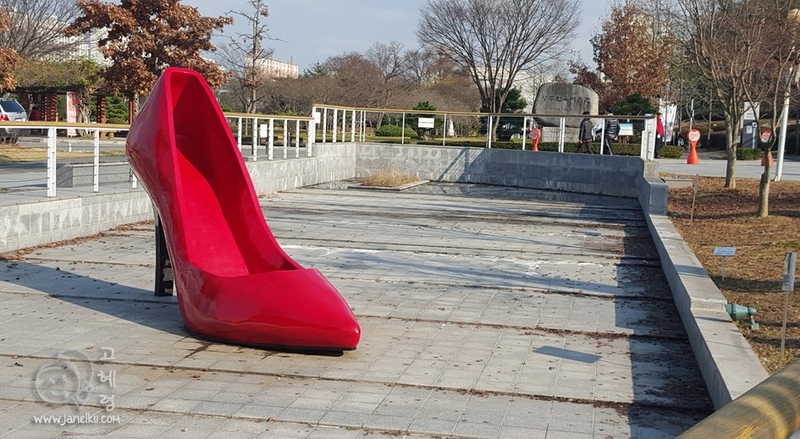 Giant red shoe which had every passerby stop to take a photo. The hall is located just a short walk away from the Gwangju Museum of Art, located in the Jung-oe Park Culture Center.